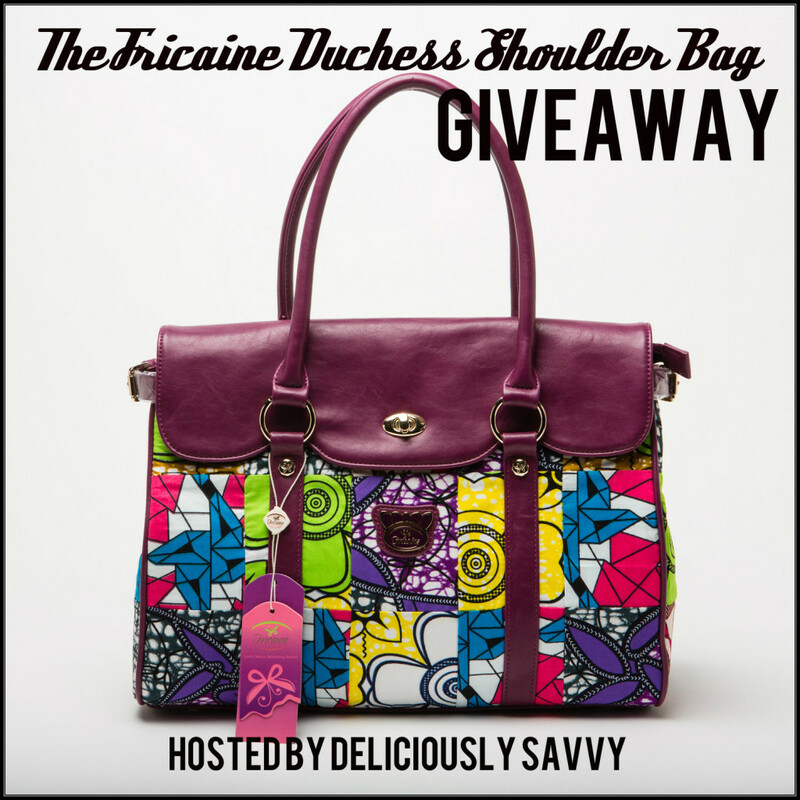 Deliciously Savvy is hosting another giveaway for 1 LUCKY winner to win this fabulous bag from Fricaine! It is gorgeous and is a bag to cherish for those special moments and events! ($138 ARV) Read My Review HERE! PLUS a Big Thank You To All Blogs Participating To Make This Giveaway a Big One! You All Rock! Entrants must be 18 years old to enter and giveaway is open to US residents only. Any Questions Email Me At mcushing7 (at) hotmail (dot) com. in the United States. Entrants must be 18+ years of age to enter. This giveaway will end at 9AM (EST) on 8/13/15! Also we all “love it if you like us” on Facebook! Deliciously Savvy did not receive any form of compensation for this giveaway. Once winner is selected via the Rafflecopter process, the product will be shipped. Winner has 48 hours to respond or another winner will be chosen. No other blog associated with this giveaway is responsible for the product shipment. Fricaine will be providing the prizes above to the winner. Thank You for stopping by! Any Questions or Concerns email me at mcushing7 (at) hotmail (dot) com. If you have any questions or are a brand/company and would like to work with Deliciously Savvy please contact us here. Previous post: Do you want the softest sheets on your bed? I like the Fricaine Limelight Backpack-very cute style! My two favorites are the Fricaine Charming Wink Satchel and this Fricaine Dutchess Shoulder Bag. I absolutely love the printed fabric and trim color together. I like the new wax fabric designs. I love The Amazonian bag ! I like the orange queens hand satchel. I also like the sparkle clutches. They are so cute. First time I call this brand and love it, love the Embroided line. I absolutely LOVE these bags! If I ever had to choose just one it would take all day. To start I like the turquoise colors in the FRICAINE EFFICO HOBO BAG. I like the embellished tote. And the fancy embroidered handbag. I love their See Fance Embroidered Handbag! i like the Fricaine Queen’s Hand Satchel bag.